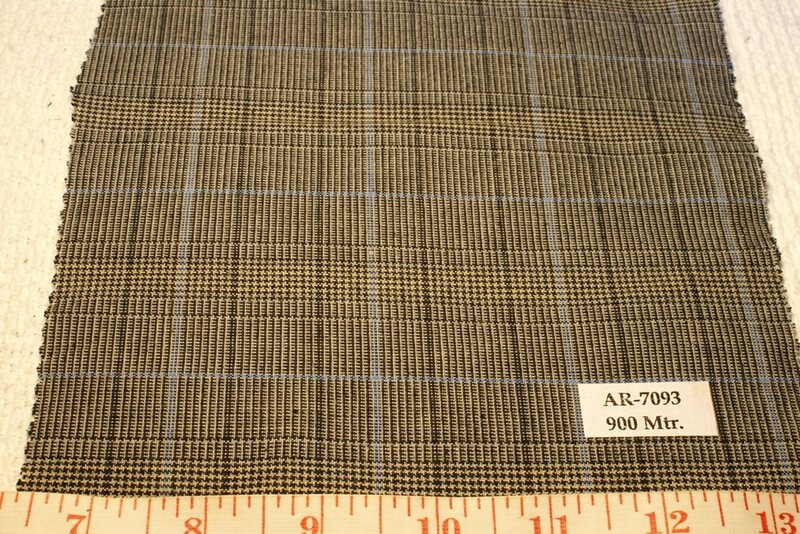 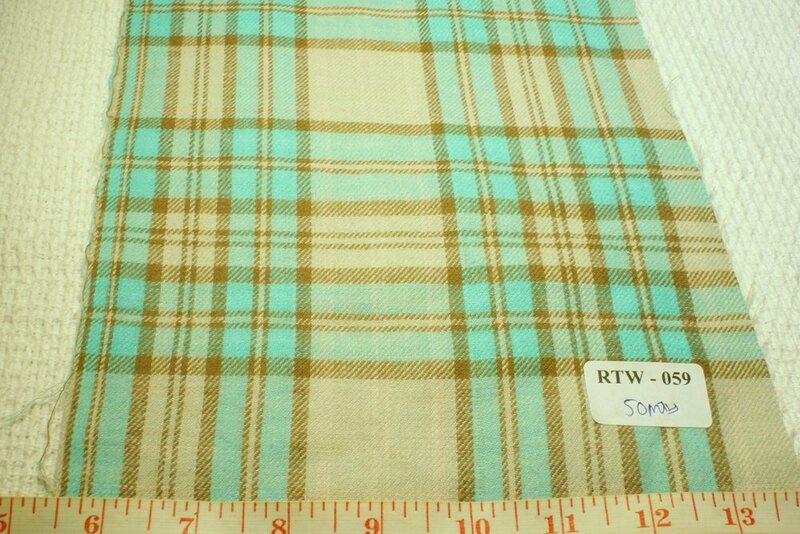 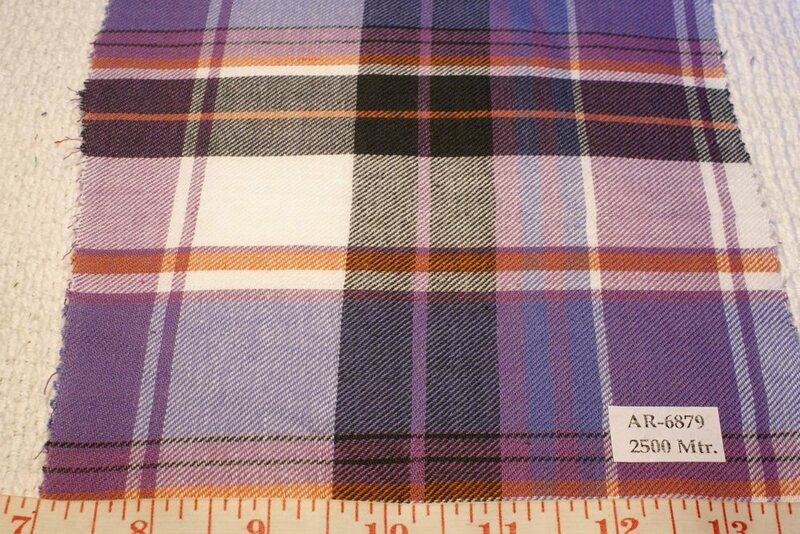 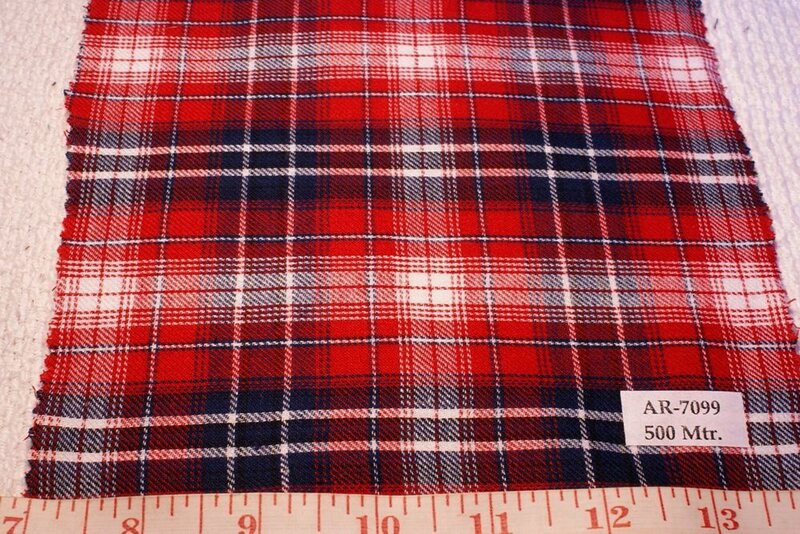 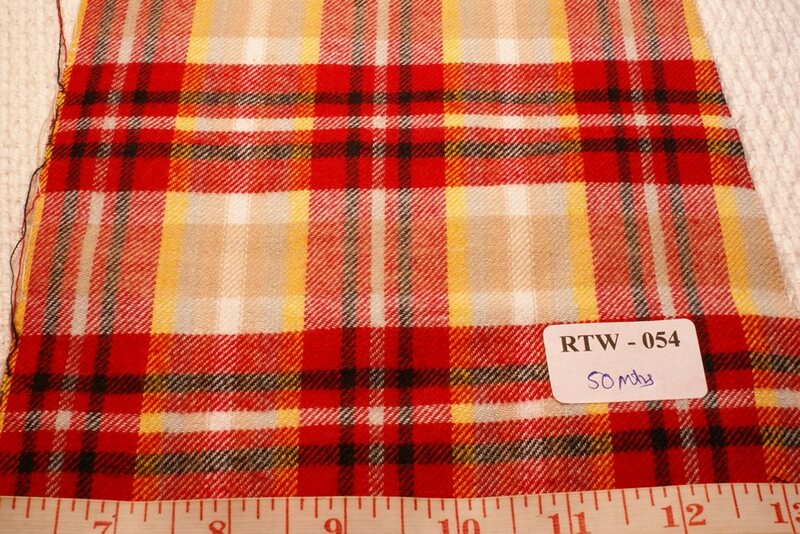 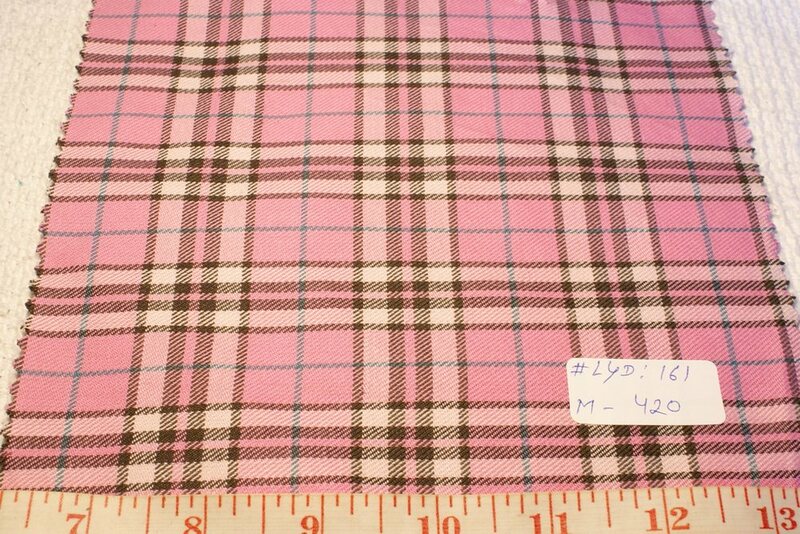 Madras Plaid Flannel or Twill Madras fabric is 100% cotton plaid fabric, in thicker construction and heavier weight than summer madras fabric. 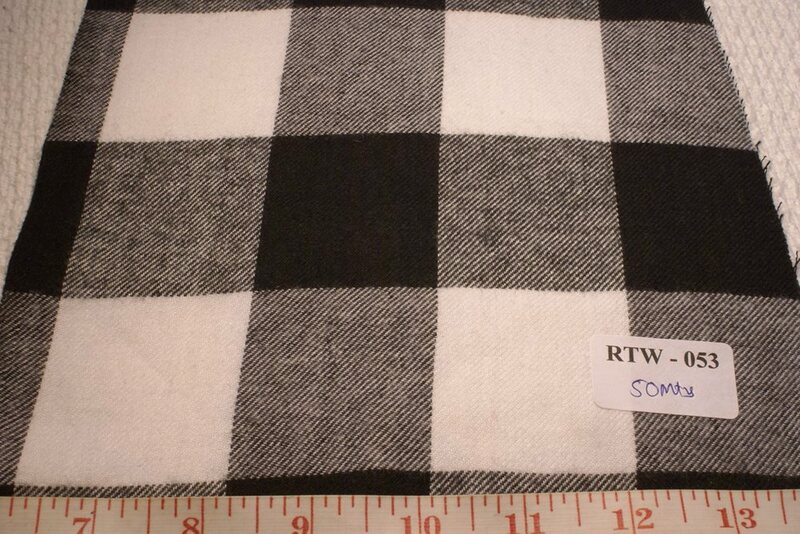 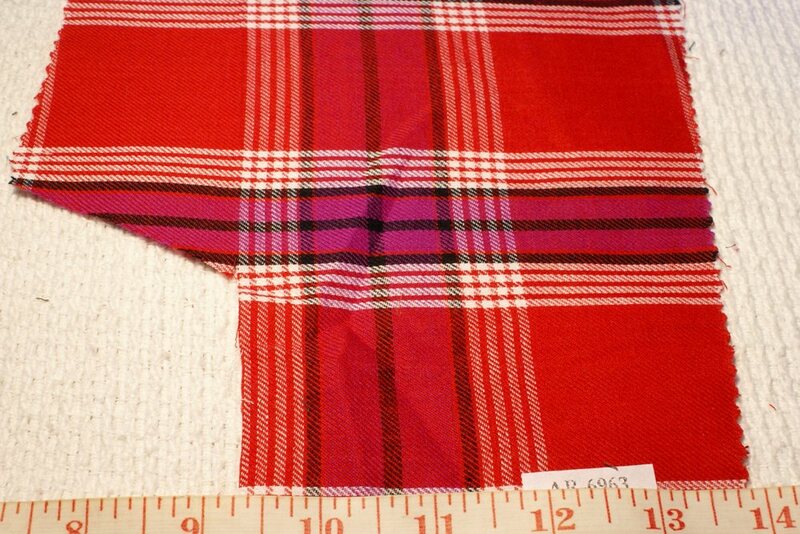 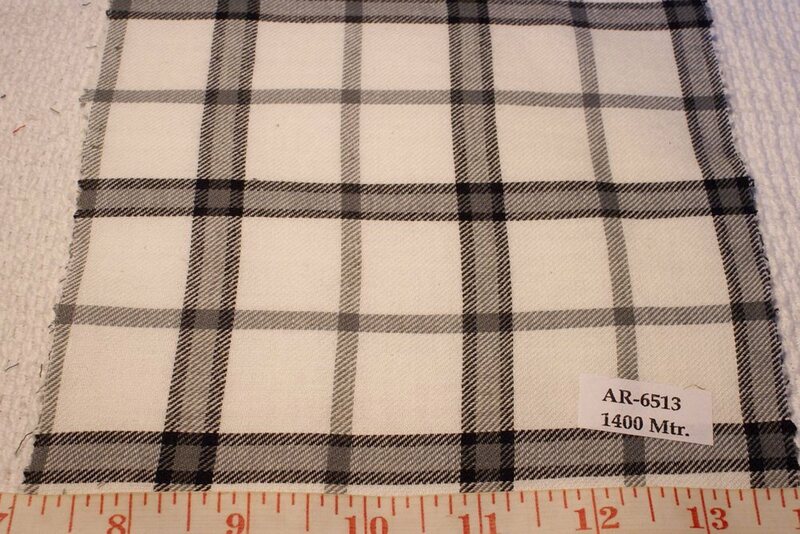 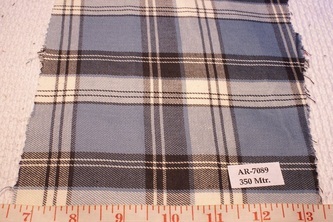 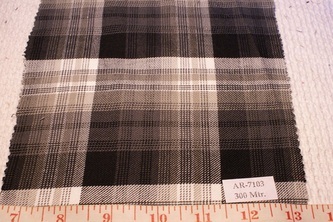 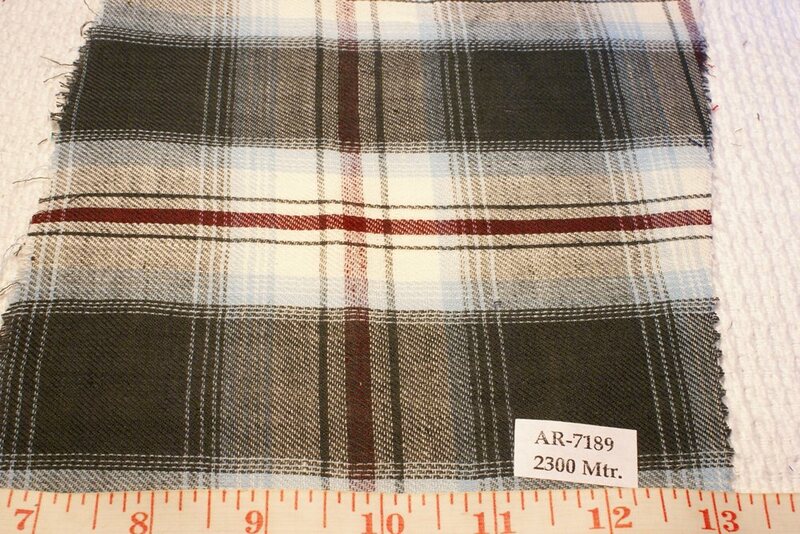 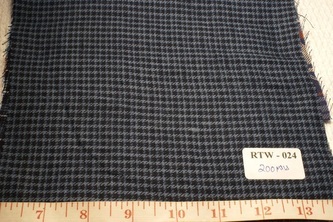 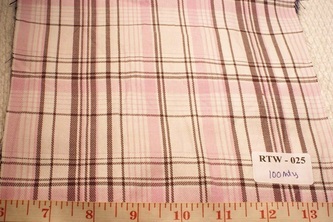 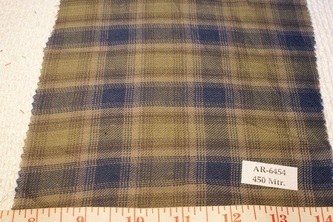 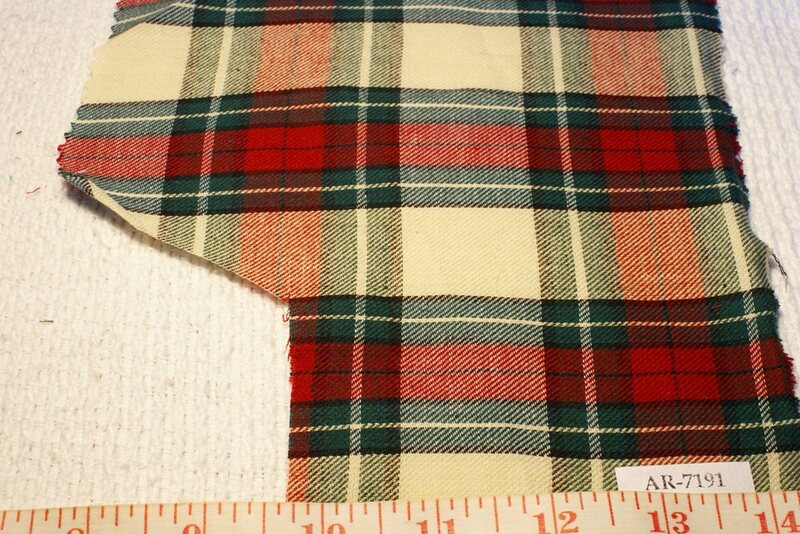 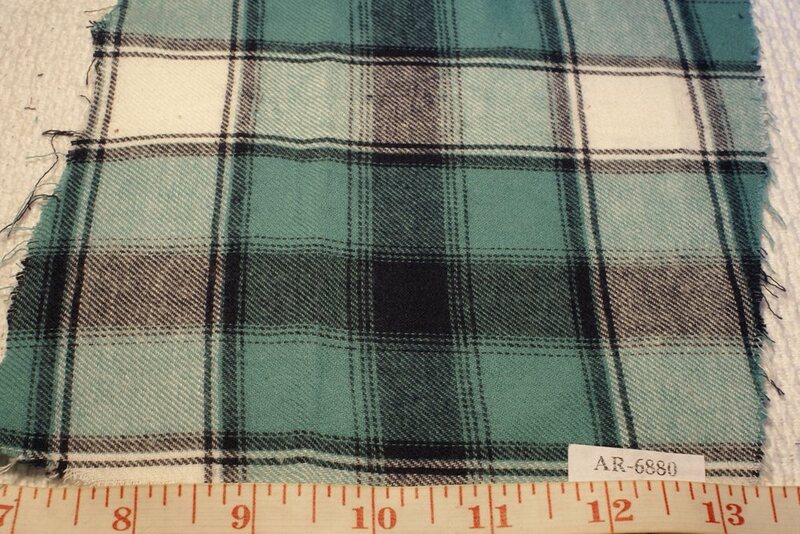 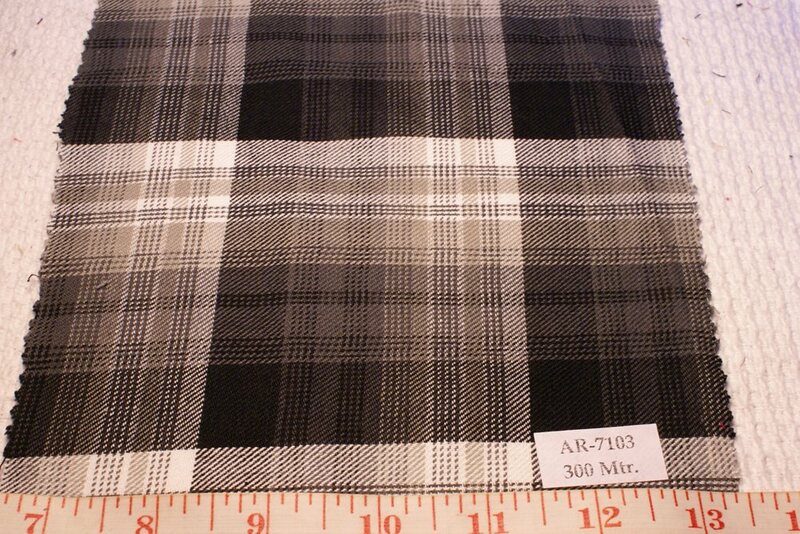 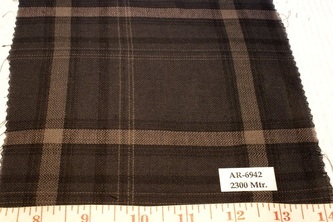 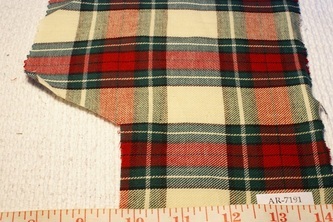 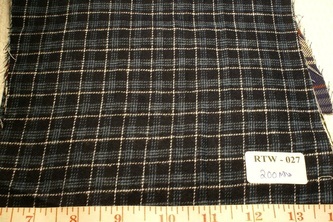 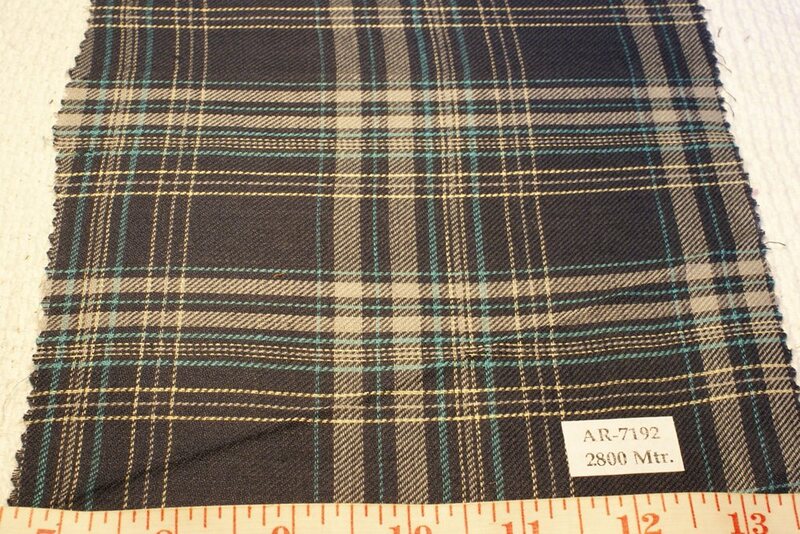 The fabric has a twill weave with diagonal lines, and is brushed on one side, much like a Flannel. 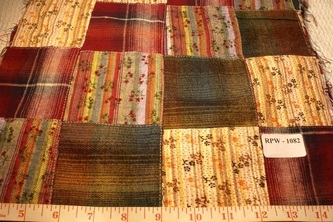 The other side has a clear twill (diagonal thread lines) weave. 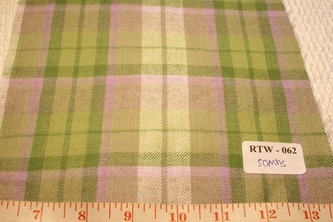 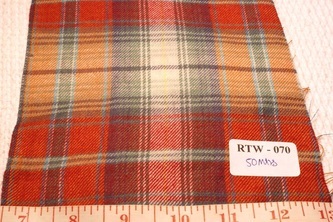 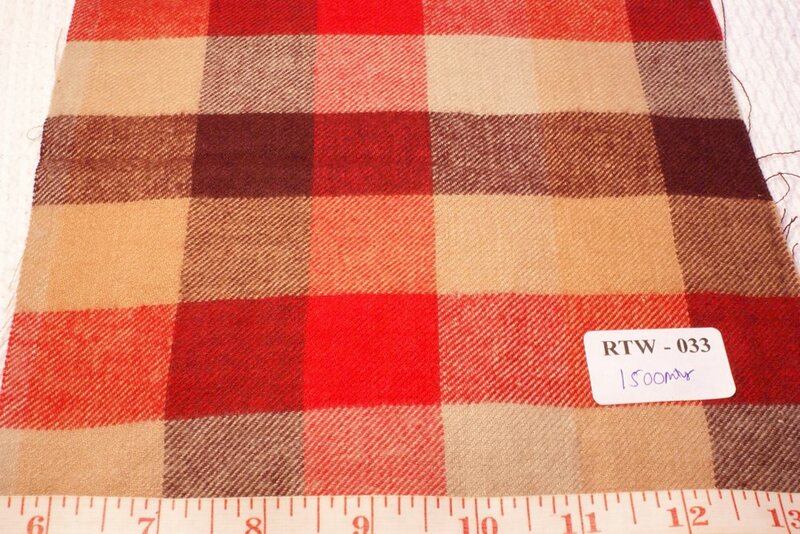 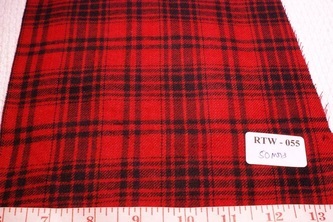 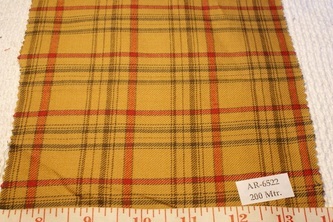 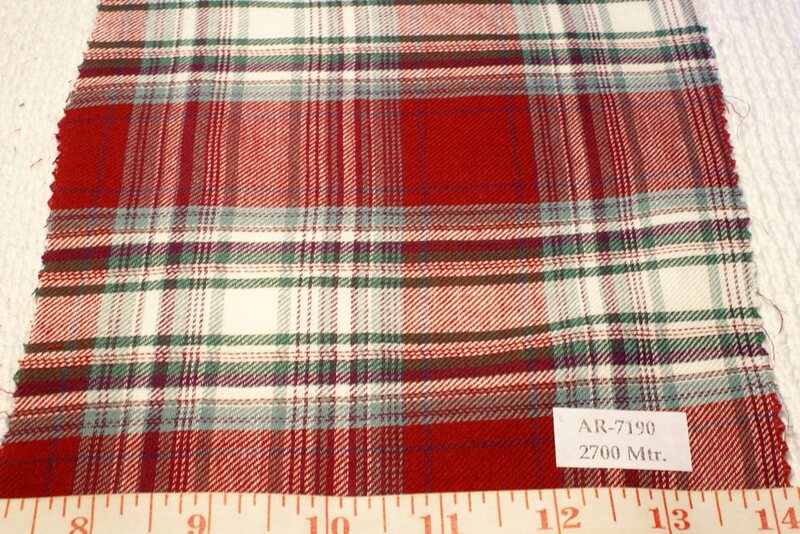 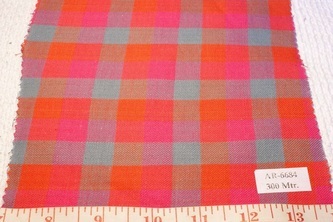 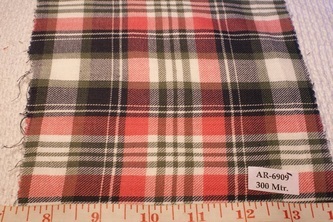 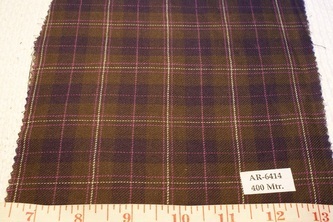 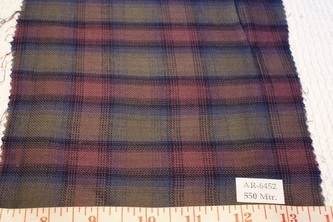 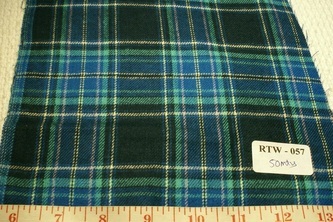 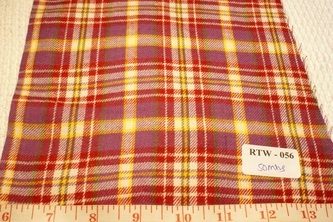 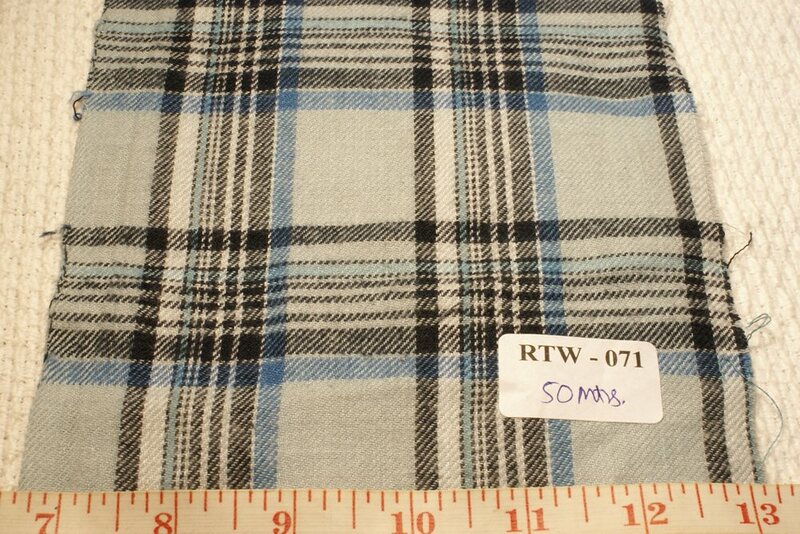 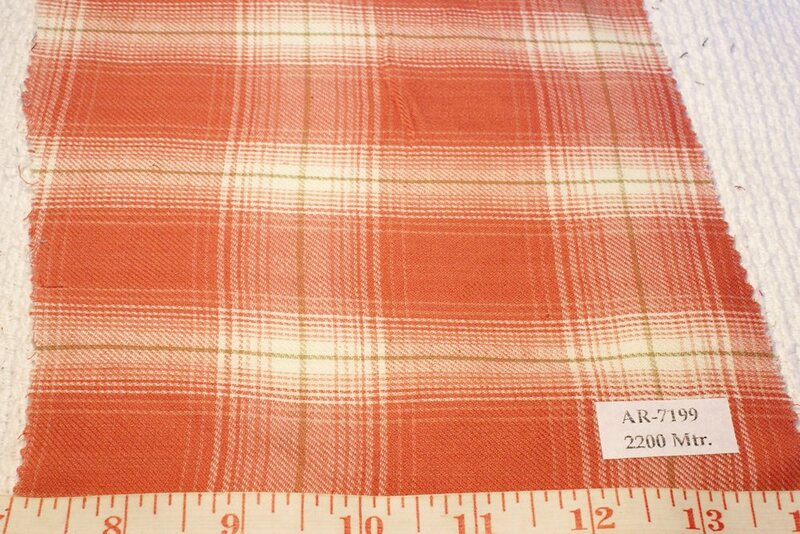 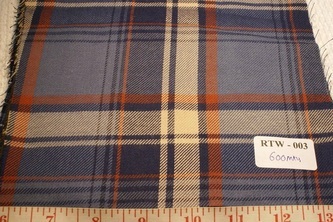 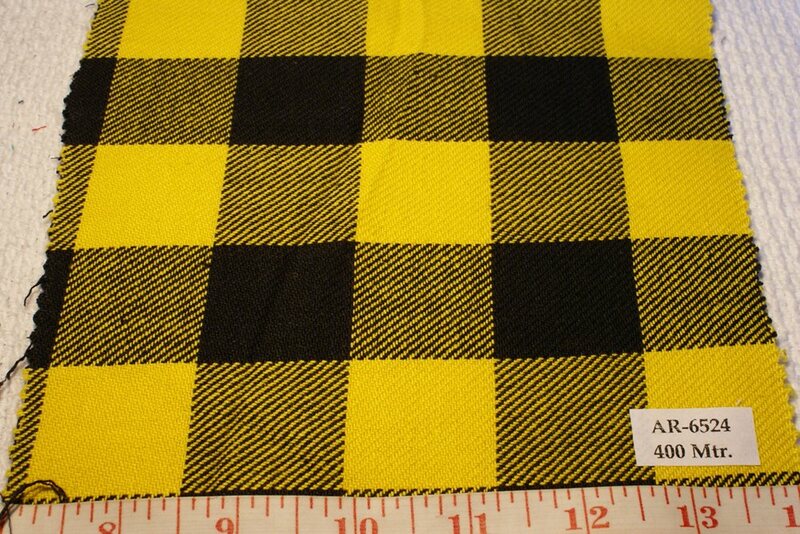 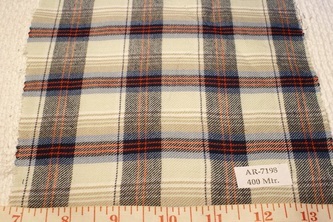 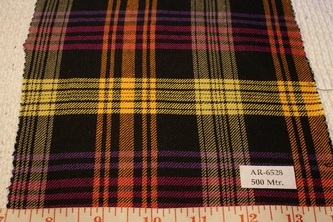 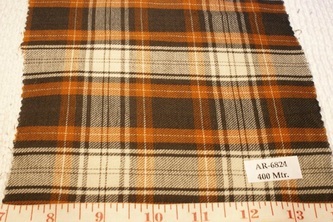 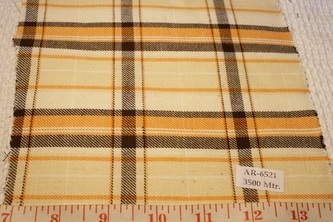 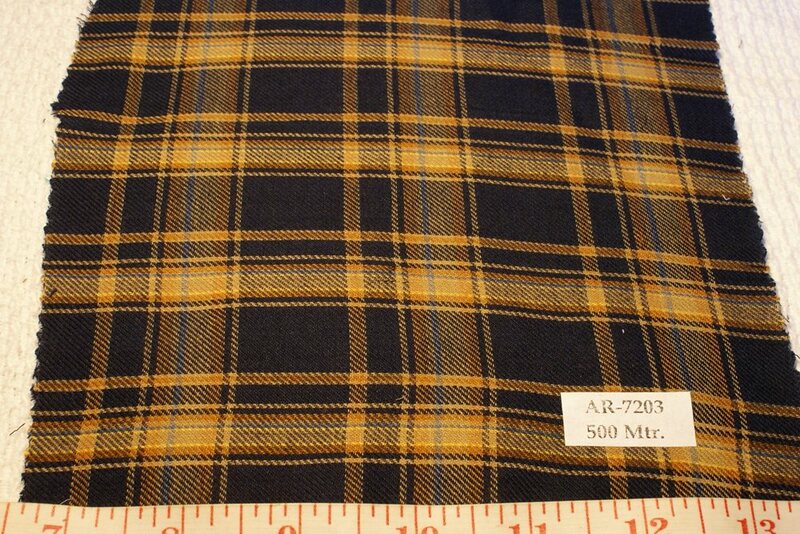 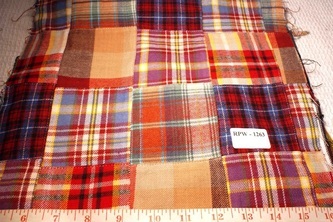 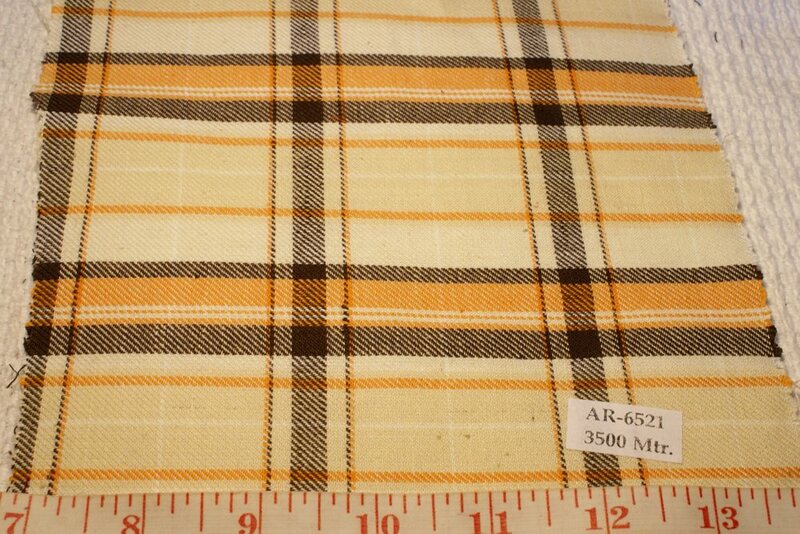 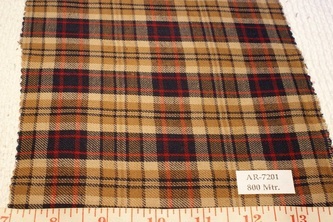 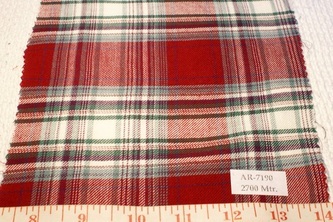 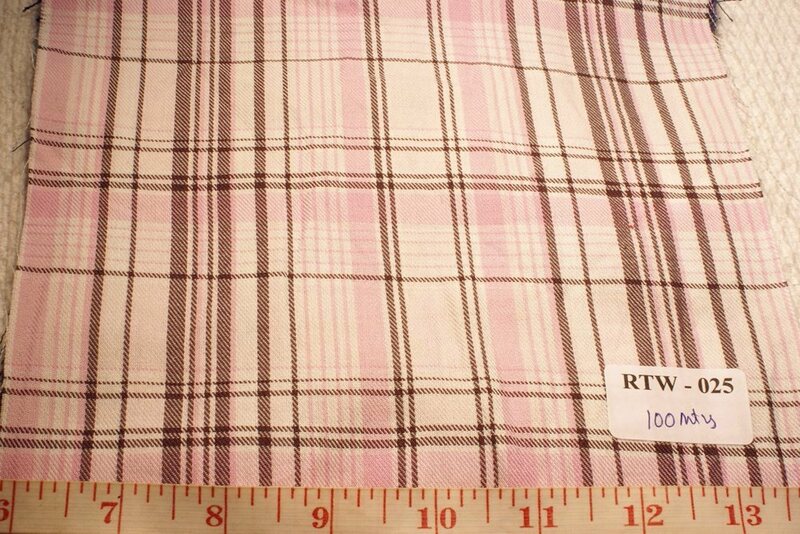 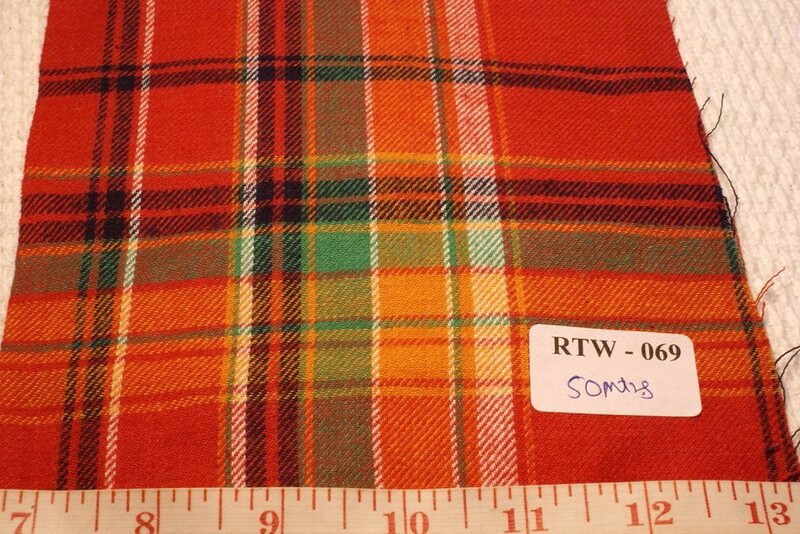 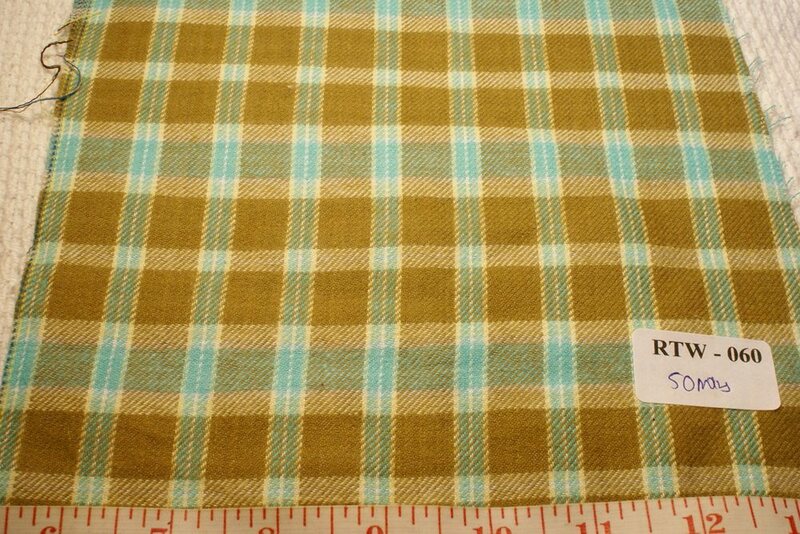 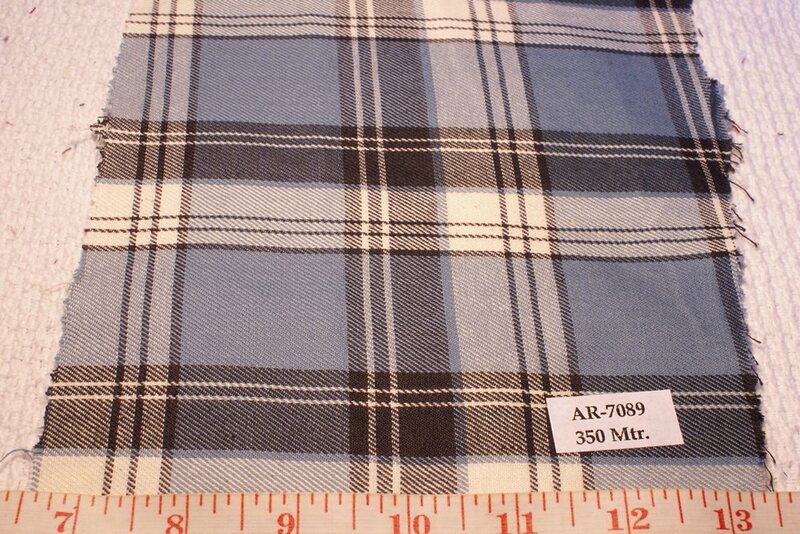 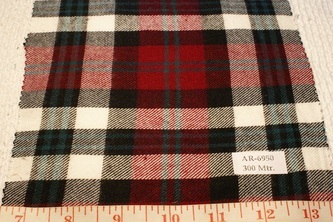 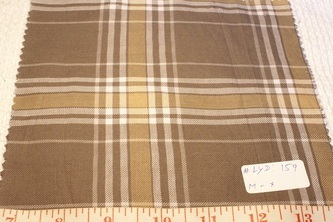 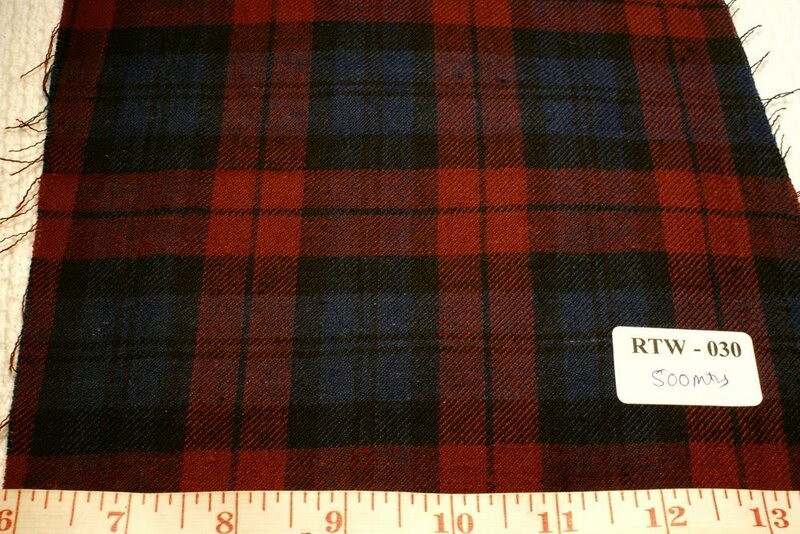 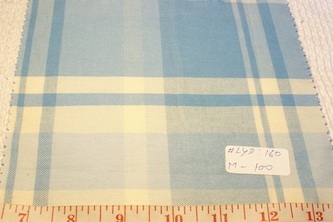 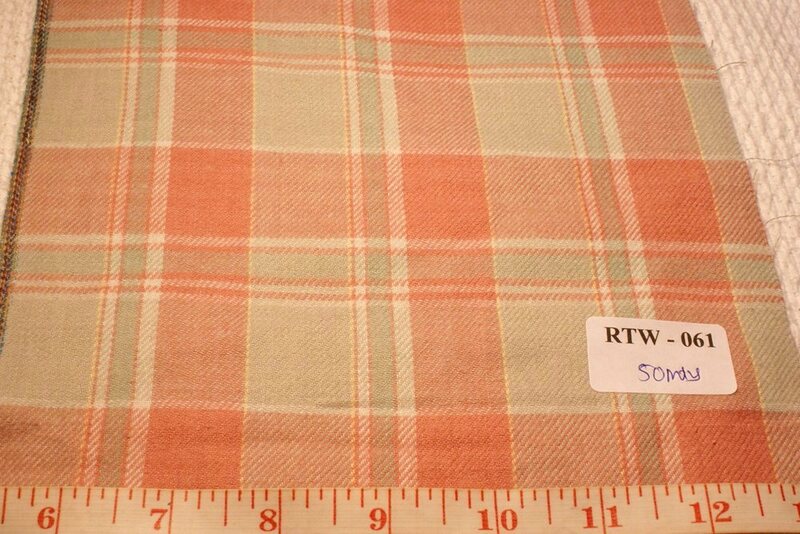 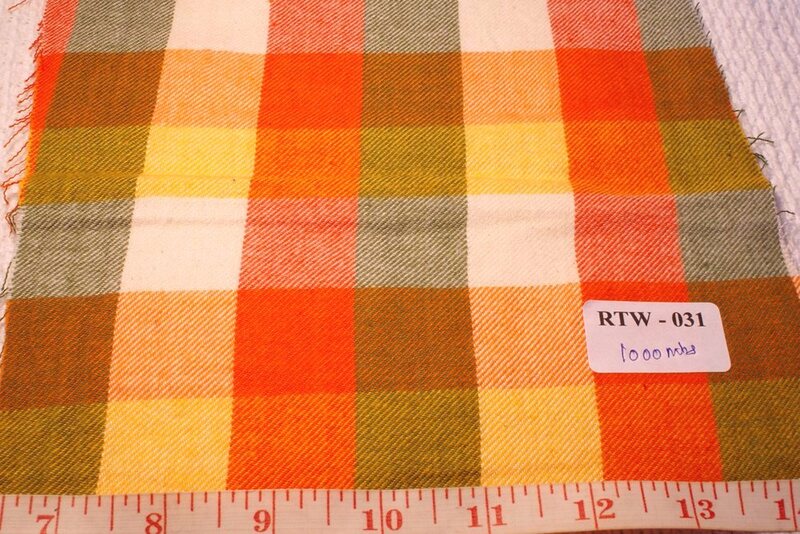 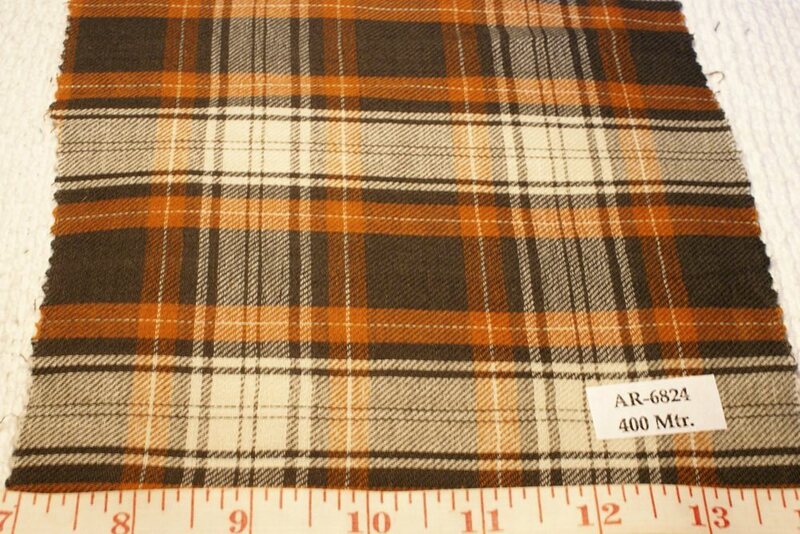 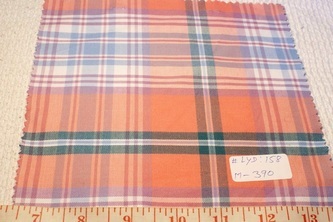 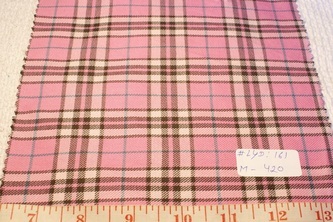 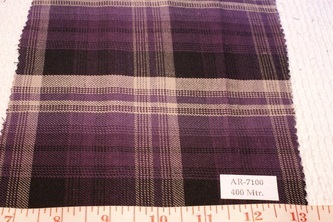 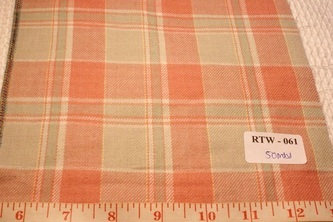 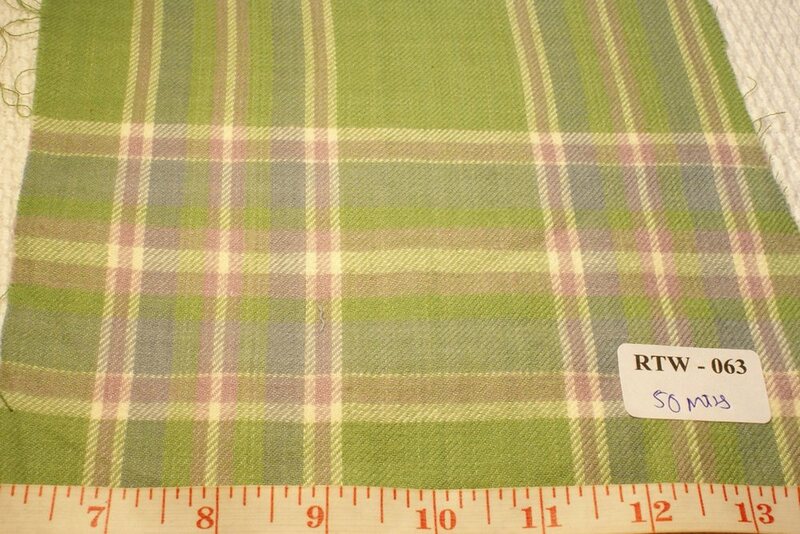 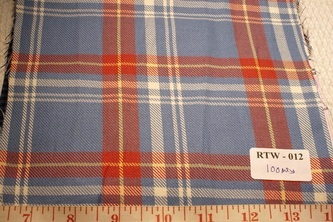 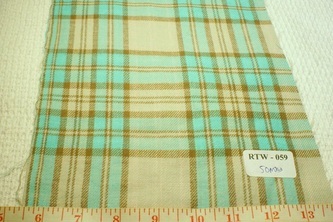 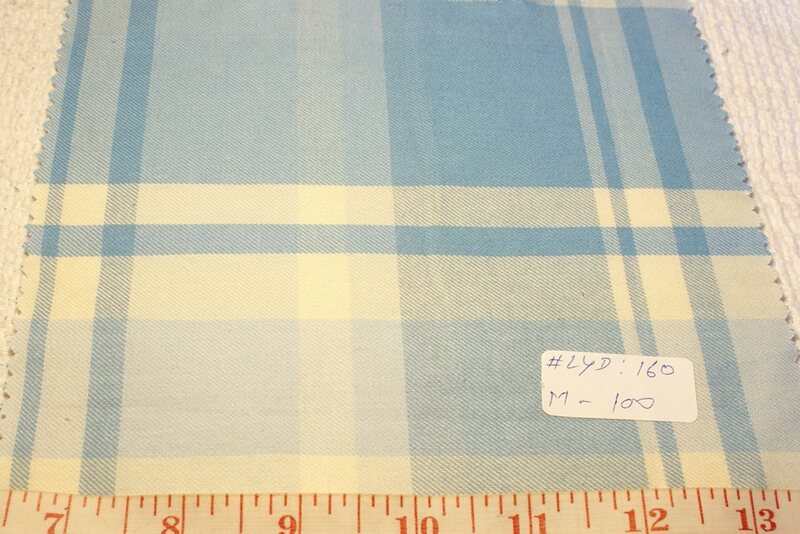 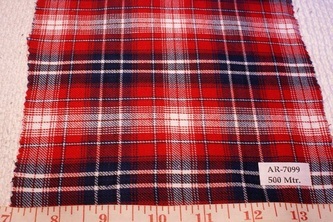 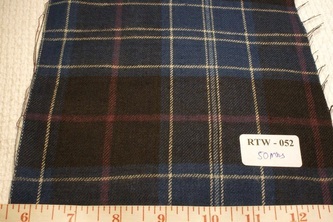 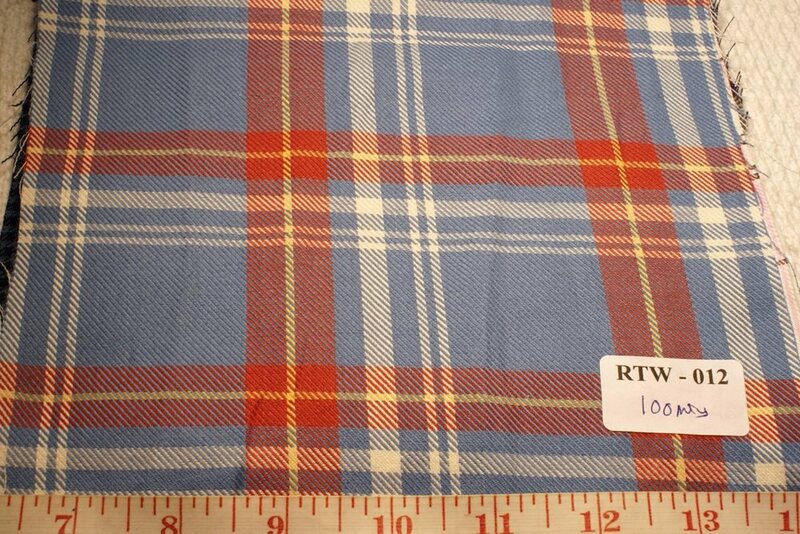 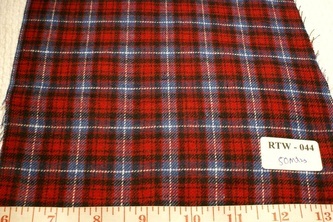 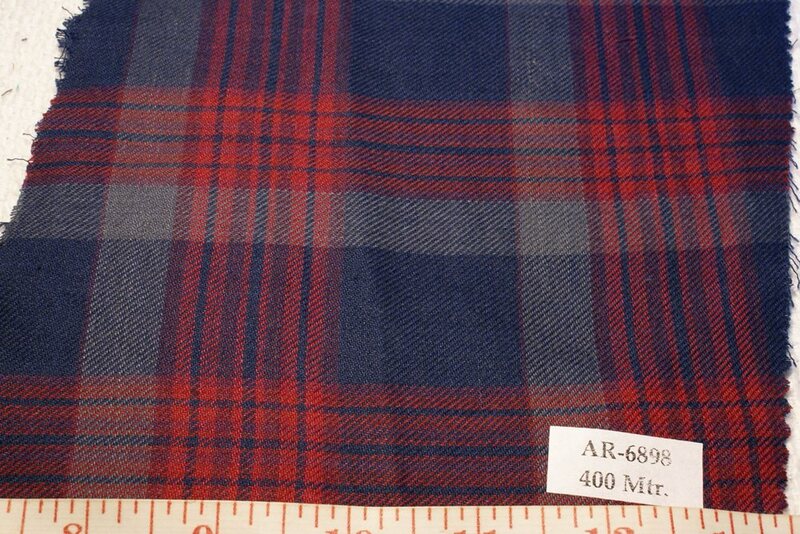 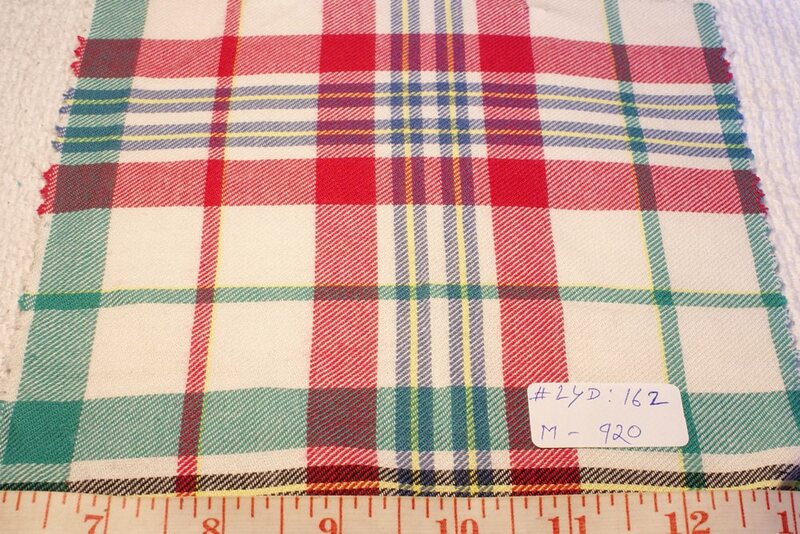 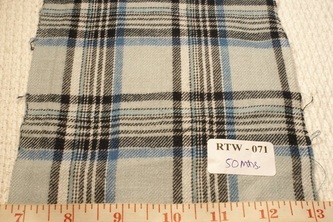 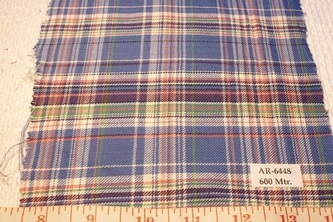 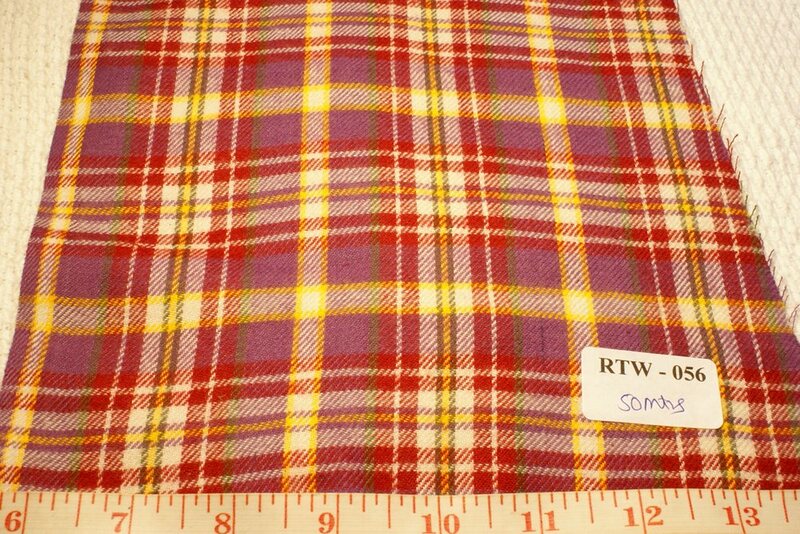 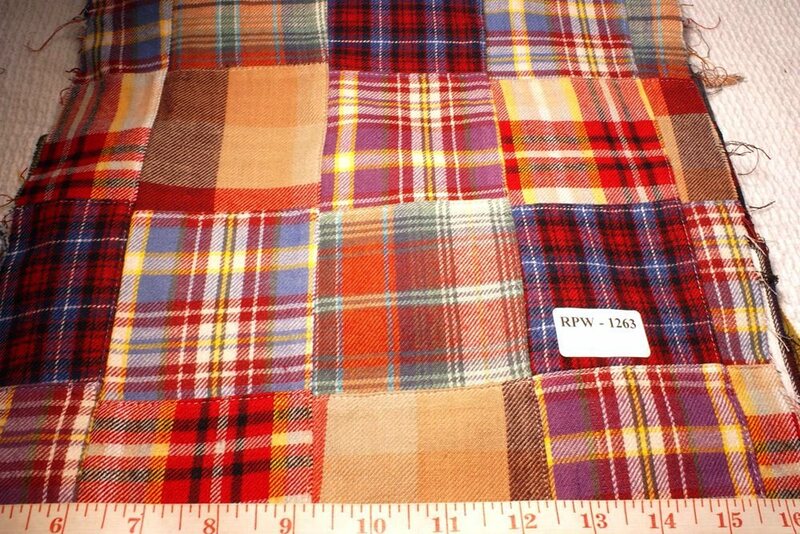 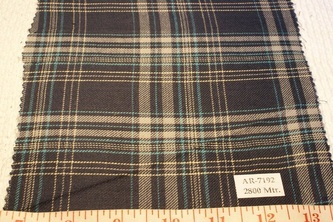 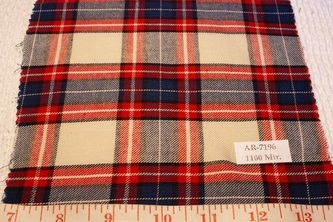 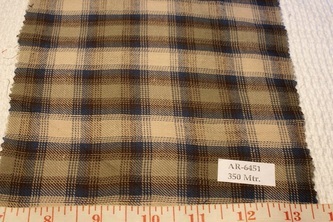 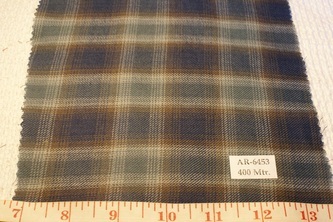 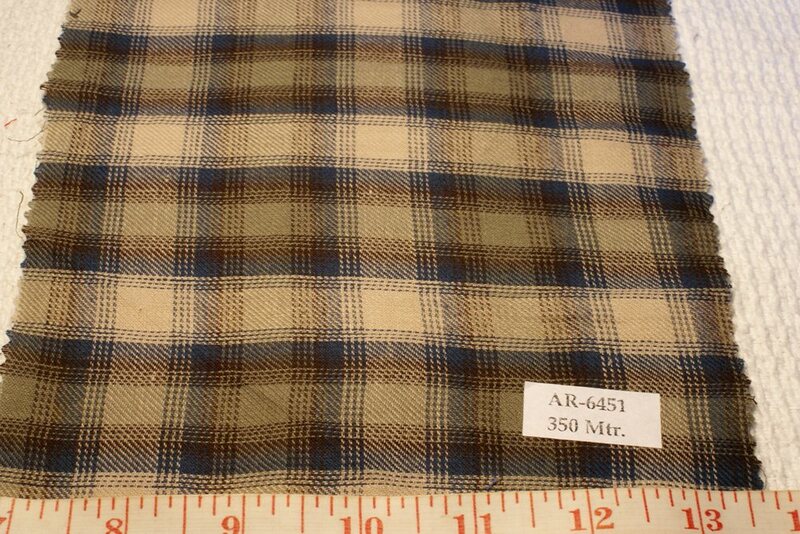 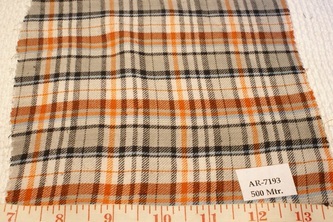 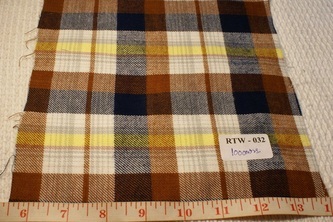 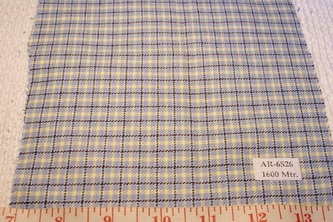 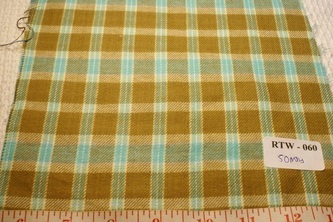 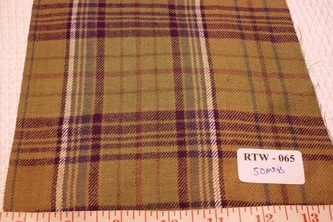 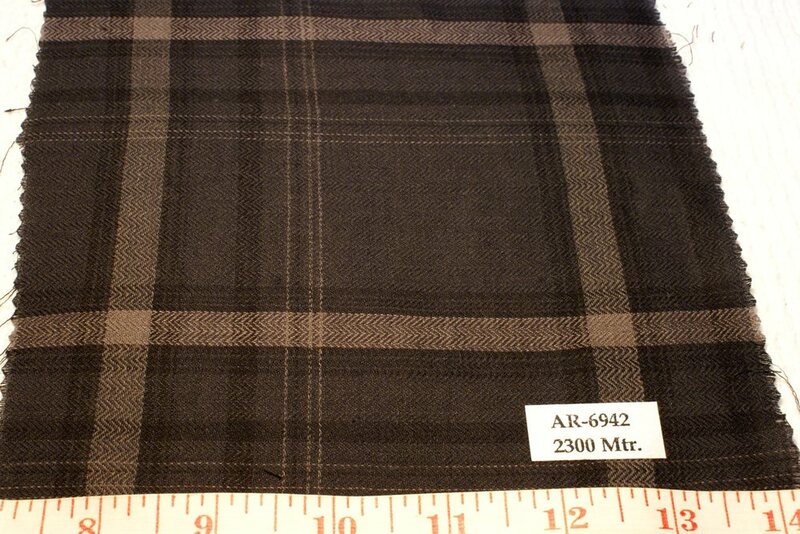 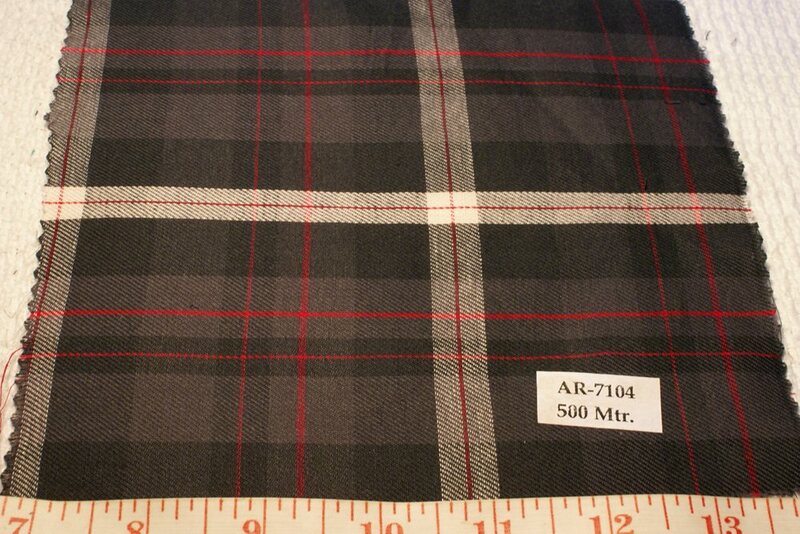 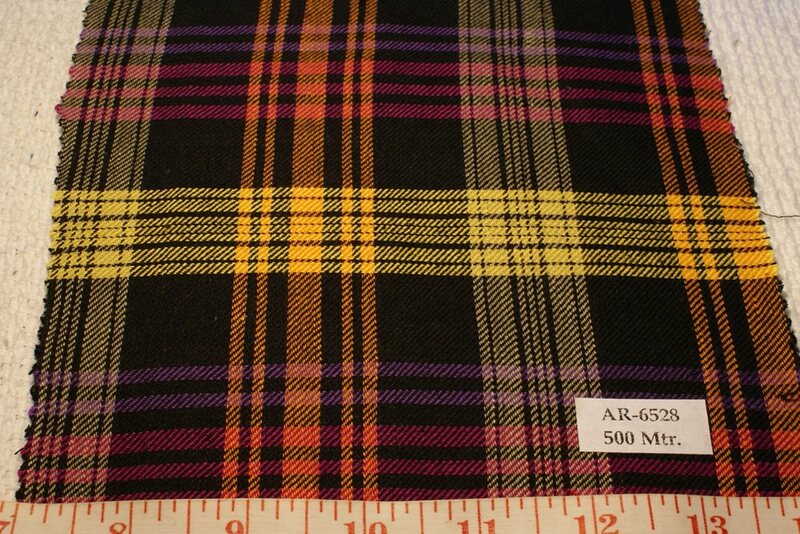 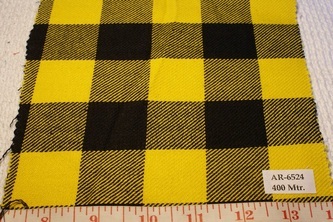 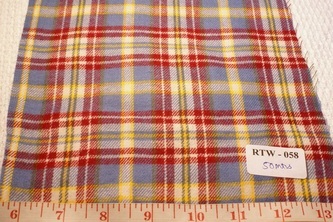 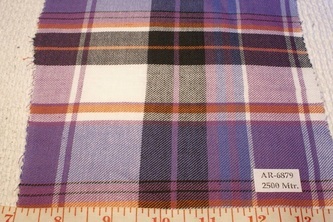 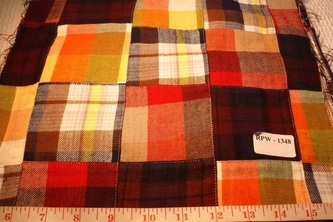 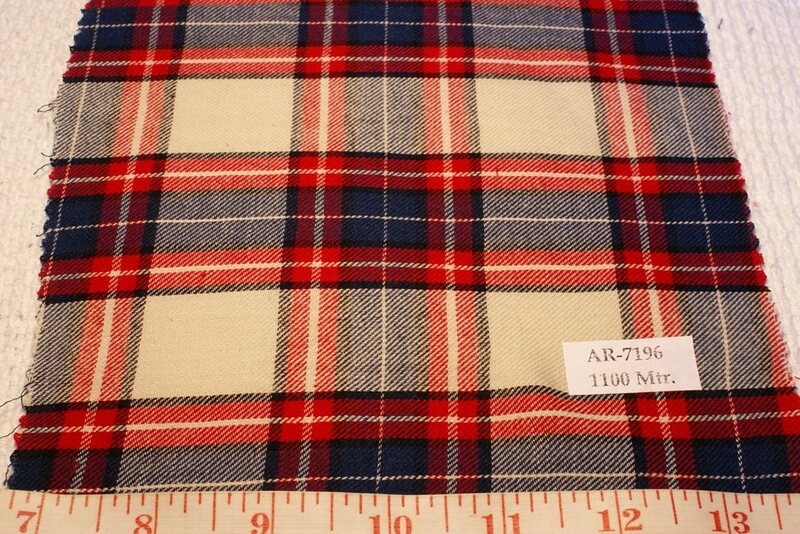 This madras fabric is ideal Fall / Winter fabric, and is 100% cotton. 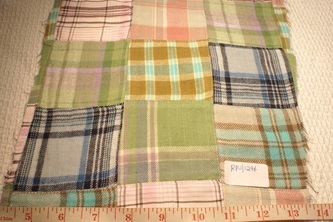 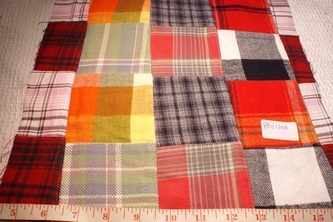 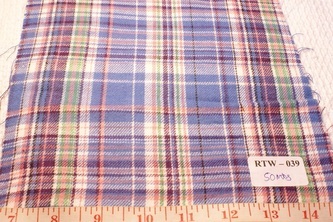 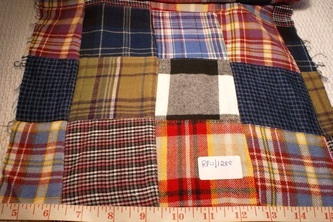 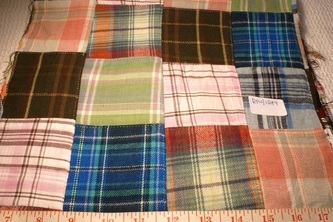 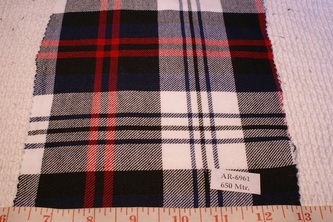 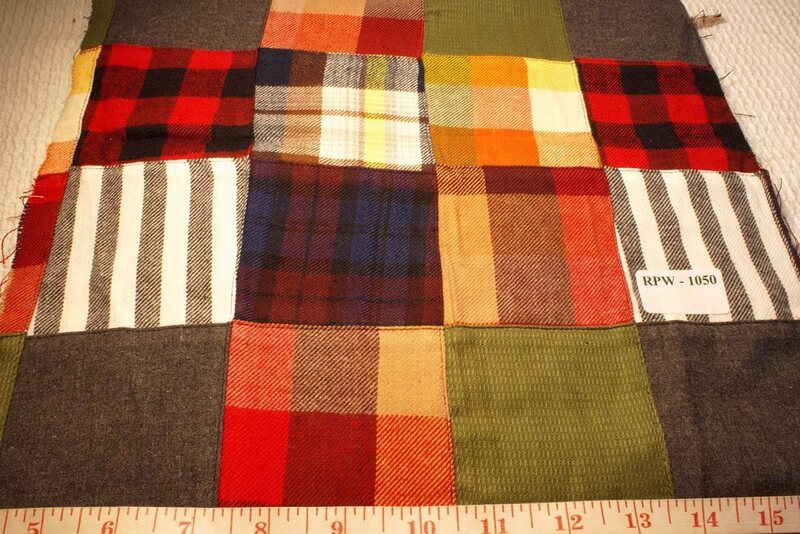 Most flannel madras fabric is all-weather too, and is also used for summer shirts, but is ideal for Fall & winter wear. 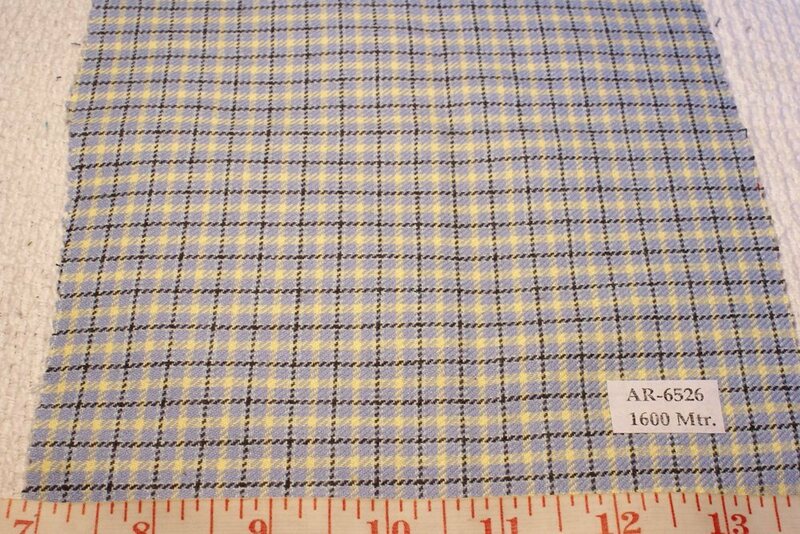 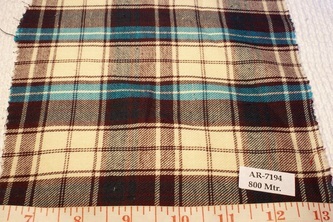 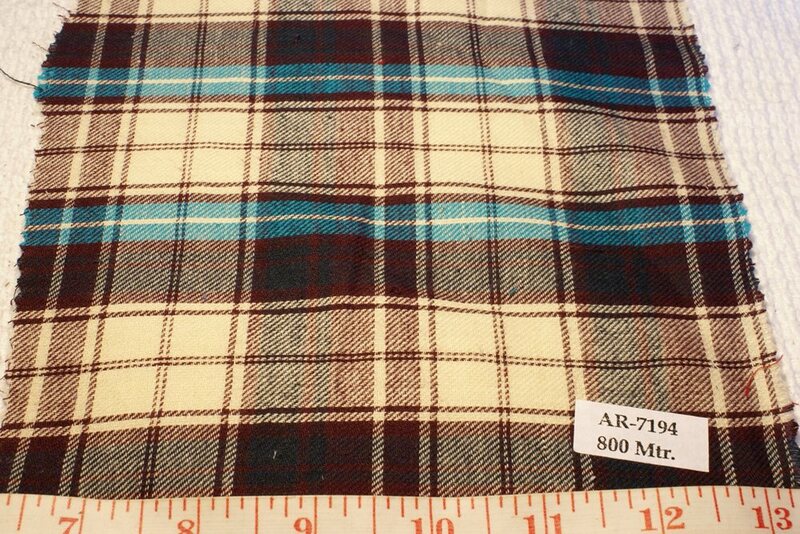 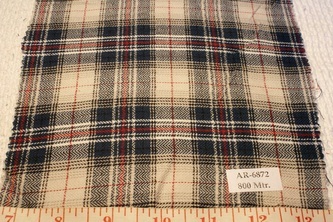 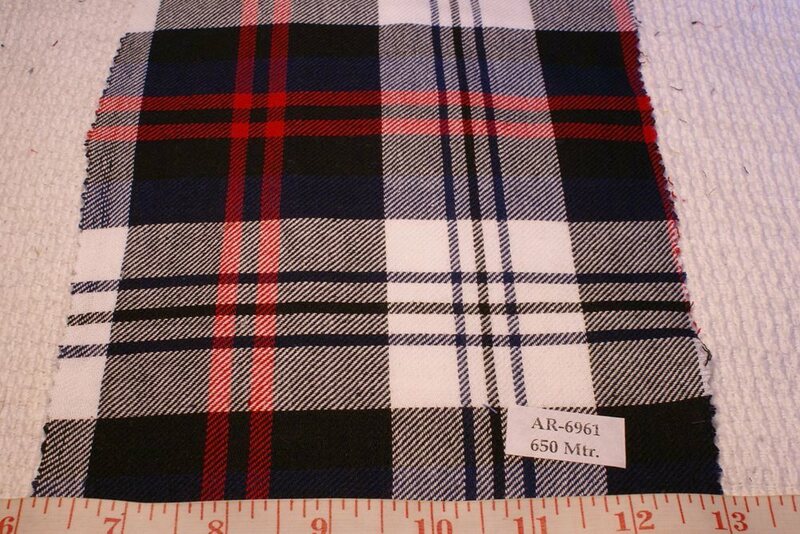 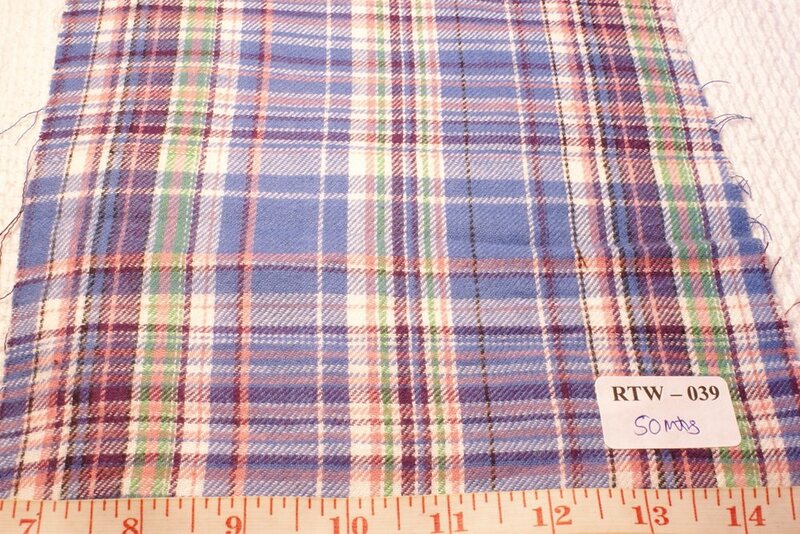 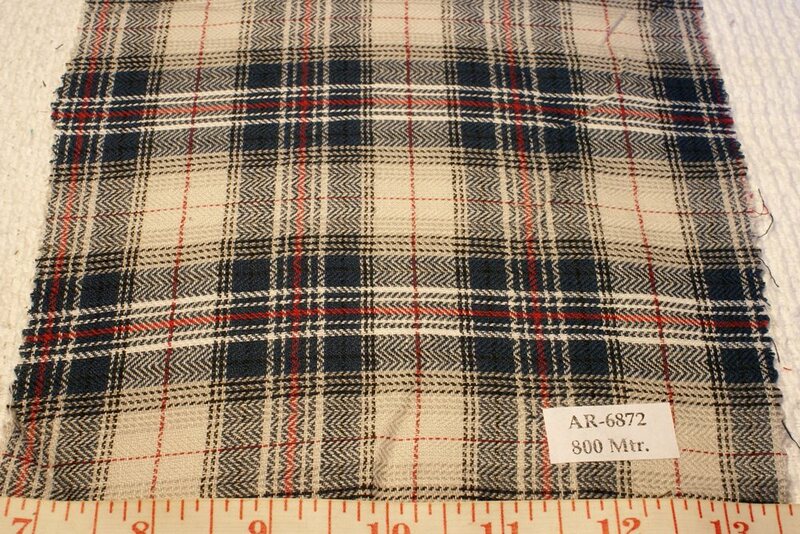 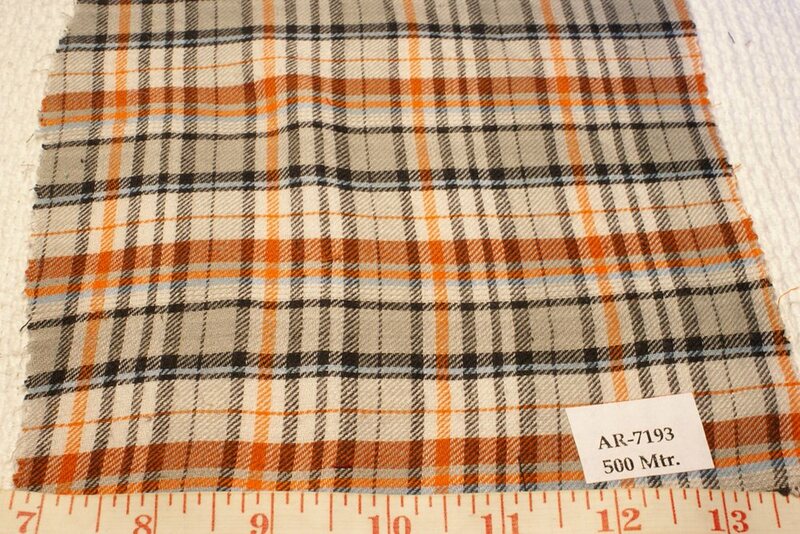 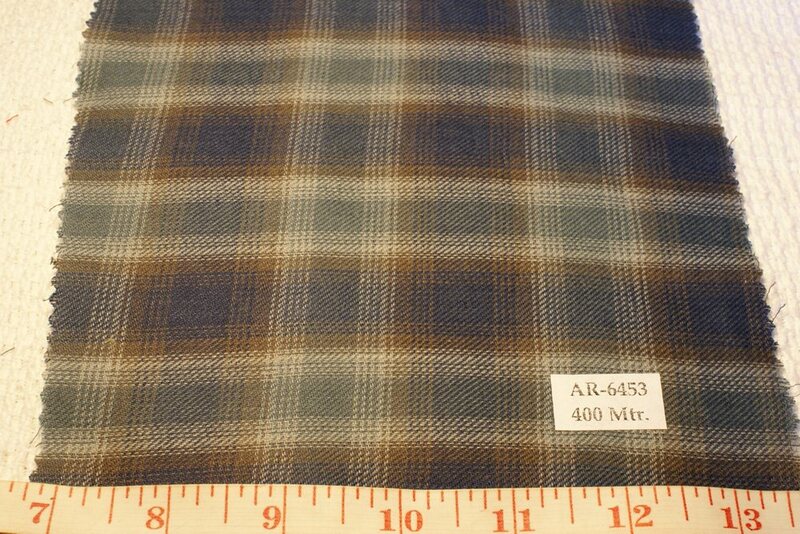 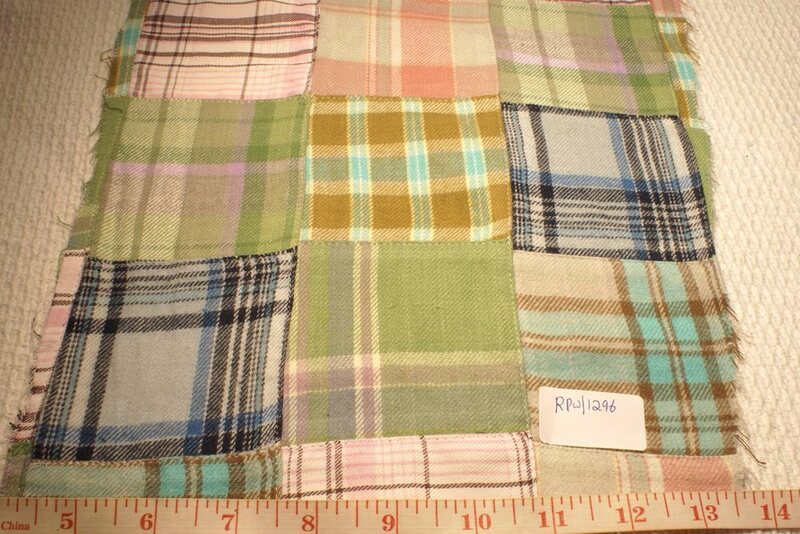 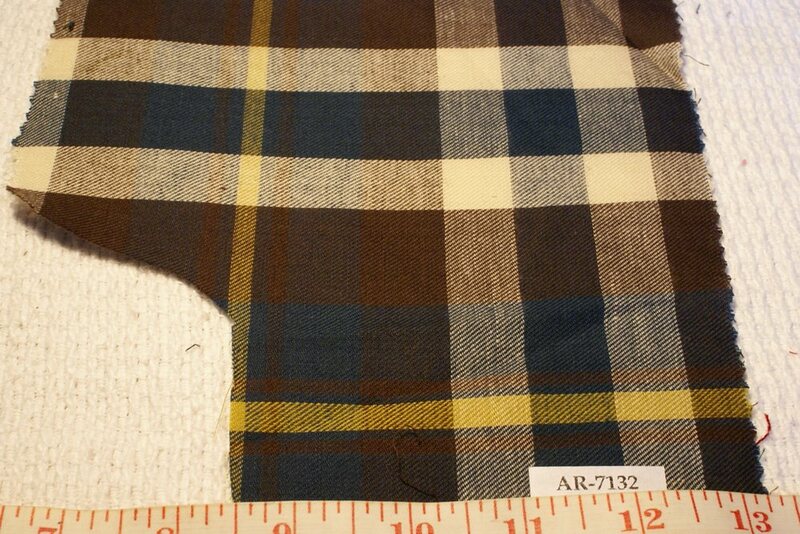 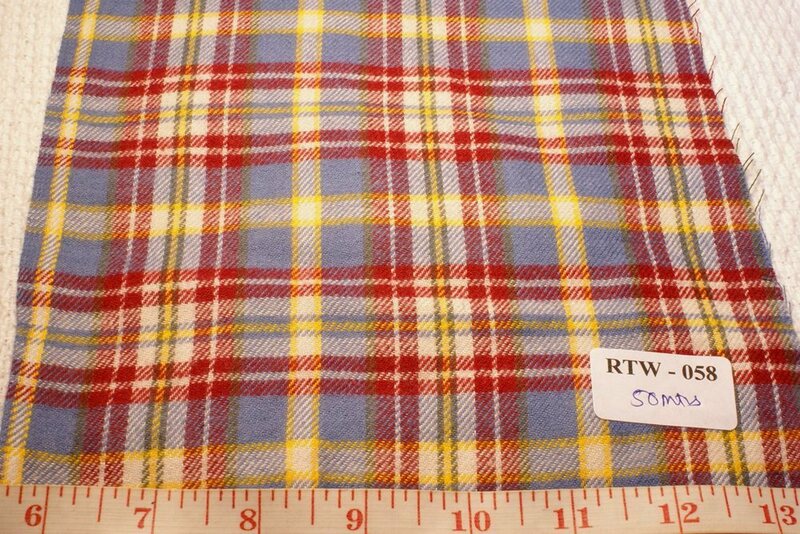 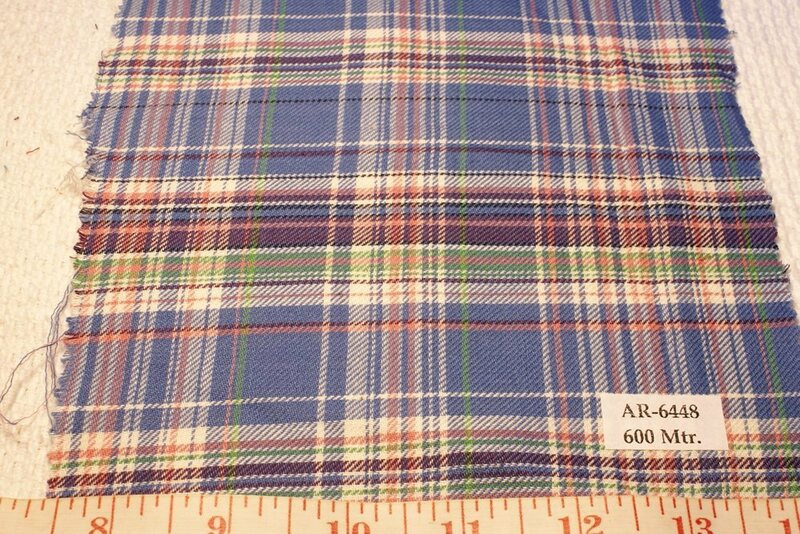 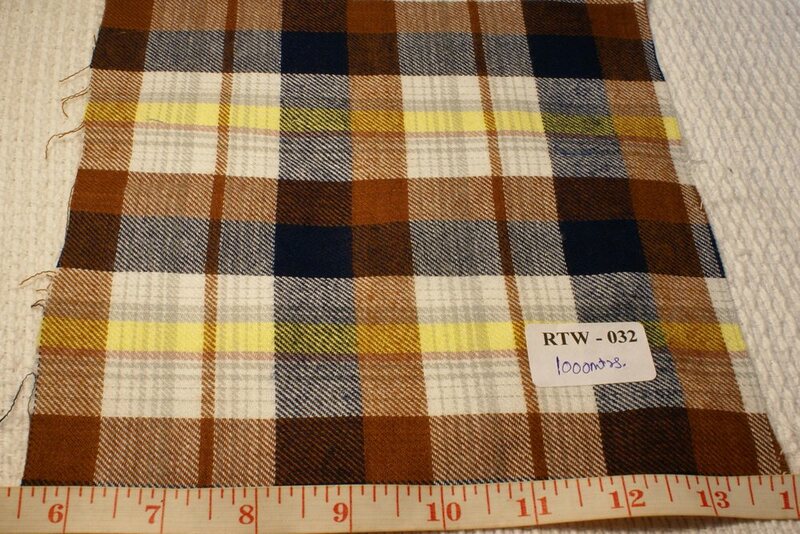 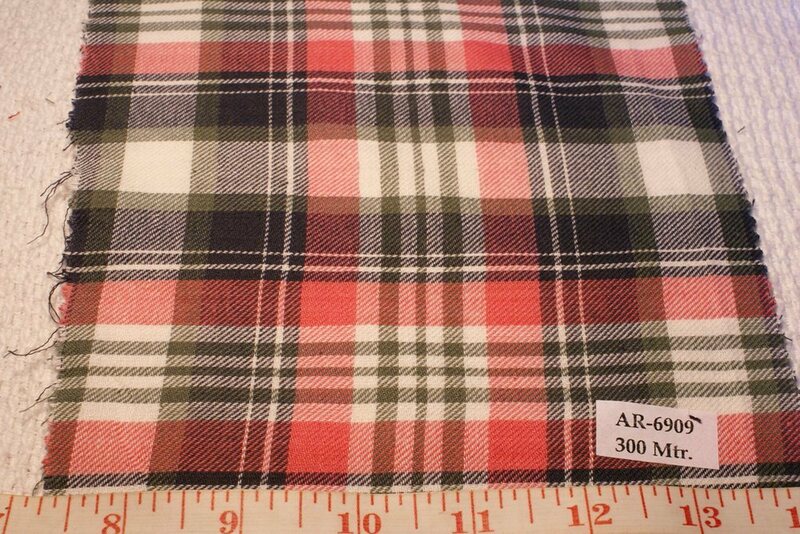 Madras twill patchwork fabric is also made using the same twill plaid fabric, and these are ideal for winter / Fall shirts, winter dresses, Fall preppy clothing and scarves & stoles. 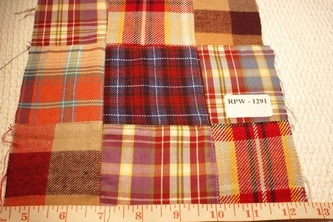 Madras Flannel is ideal for outwear, sports clothing, hunting and outdoor apparel.